Valley Center is a small, mostly rural community located in the northeastern reaches of San Diego County. Its large properties have made it an attractive setting for people wanting to remove themselves from the bustle of urban life, including several colorful personalities from the film and entertainment industries. Valley Center’s rural lifestyle, large property parcels, reasonable home prices, and community amenities make it an attractive site for families, and its growth in the last few decades has reflected this fact. Although it lacks some of the conveniences of its more urban neighbors in San Diego County, residents of Valley Center are not so distant from these areas that they cannot utilize these services whenever necessary. The Valley Center family law lawyers at Doppelt and Forney, APLC are located just a short drive south in north San Diego, and we can assist people who are involved in a complex divorce, a child custody dispute, or another family law proceeding. As much as everyone would prefer that family life were always harmonious, the fact is that disruptions and even more serious conflicts can often arise, to the point that legal intervention is warranted. This can happen in matters involving divorce as well as paternity, child custody, and other issues. In Valley Center, roughly 10% of the adult population is divorced, and a number of households are run by single parents. A divorce generally involves much more than the simple dissolution of the marriage bond, particularly if the marriage is of long duration and there is no prenuptial agreement in place that defines the terms of the divorce. It involves dividing up assets, often including retirement plans, Social Security benefits, pensions, real estate, bank accounts, and even the ownership of partnerships or businesses. The spouses also may need to calculate and negotiate the level and terms of any spousal support and make sure that they meet all of the legal and procedural requirements involved in making the divorce official under California law. When there are minor children, a divorce will also entail the resolution of child custody and visitation issues, as well as determining the level of child support for each parent, if any is needed. All of these matters are difficult to resolve unless you have a competent family law lawyer in the Valley Center area to assist you along the way. Some people believe that divorce can be a “do it yourself” project that does not require going to the expense of hiring an attorney. In the most straightforward cases, this may be feasible. But while a divorce can legally be obtained without an attorney’s involvement, it is not often a wise decision to choose this route, particularly in any divorce that involves significant or varied assets and debts, or a need for spousal support. Also, the situation of either or both spouses may change over time, and when this happens, they may need to modify part of their divorce agreement, such as provisions pertaining to child custody, child support, or spousal support. You would need to show a substantial change in circumstances to support a modification, and this burden should not be taken lightly. Rather than taking your case to court on your own, you should consult a knowledgeable attorney who can gather evidence on your behalf and present your case in a way that takes its legal nuances into account. The capable attorneys at Doppelt and Forney, APLC can assist people from Valley Center and the surrounding communities with divorce, child custody, property division, child and spousal support, and other family law matters. 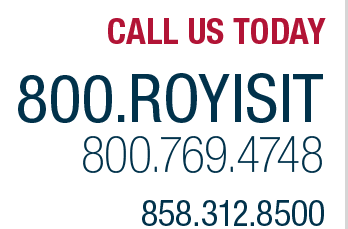 For a free consultation to find out how we can help you, call 800.769.4748 or contact us online. We understand that you may be facing significant stress and uncertainty, and we will handle your needs with sensitivity and discretion.